Rolling Stone recently released another clip of the Jimi Hendrix biopic Jimi: All Is By My Side and it has me beyond excited to see the film!! It debuts this week at South by Southwest, if anyone has an extra ticket I'm free. Andre 3000 (Andre Benjamin) plays Jimi, and in these clips his voice and dialect are jarring, as is his charisma and humility. He has brought Jimi Hendrix back to life. 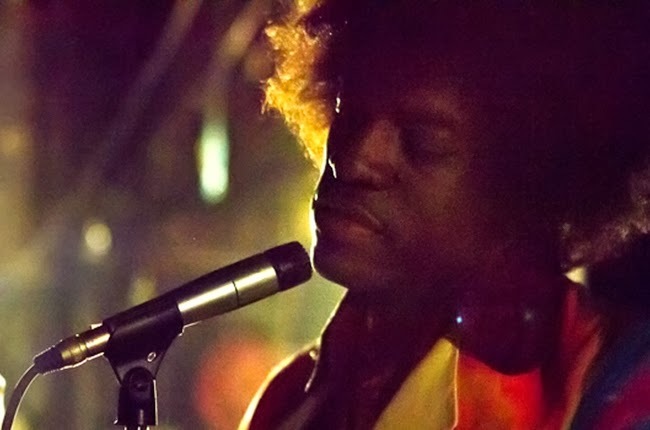 The film did not get the rights to Hendrix's songs so it won't feature any music written by him. Instead it tells the story of his life throughout 1966-1967, being discovered as a backup musician and moving to London where he formed the Experience. It still doesn't seem to have an official release date (some say June) but you can bet your bohoHendrixLover will keep you posted! This first clip sees Hendrix having a heart-to-heart with Linda Keith, discussing how both Jimi and Keith Richards had written songs for her. "I've got all these men writing songs for me, then I go home and I listen to them alone," she admits. I can think of a lot worse things to do when home alone Linda. The second is Jimi discussing moving to London with his future manager Chas Chandler. Which we know he does, and eventually comes back to the USA as the Jimi Hendrix we know today. 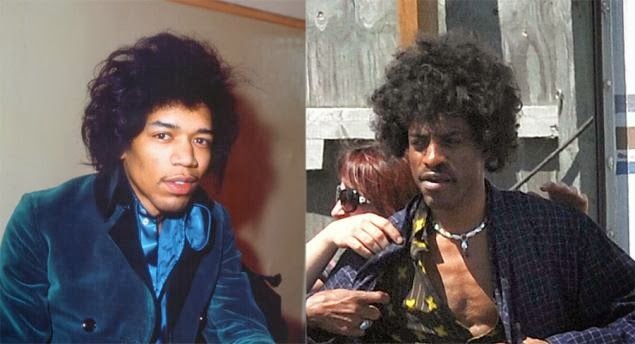 convinced Andre 3000 has nailed Hendrix and his sweet soft demeanor. And if the movie paints the portrait of Hendrix as he was "on the verge of becoming a rock legend" ....well I'm just so excited there is finally a Jimi Hendrix film.